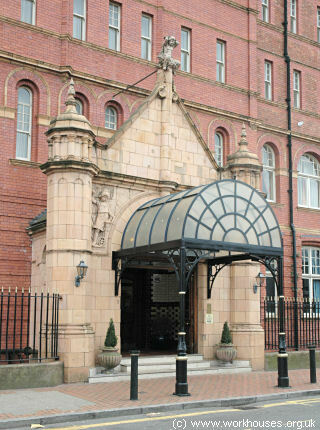 The first Rowton House, at Vauxhall, which opened in December 1892, was personally financed by Lord Rowton. 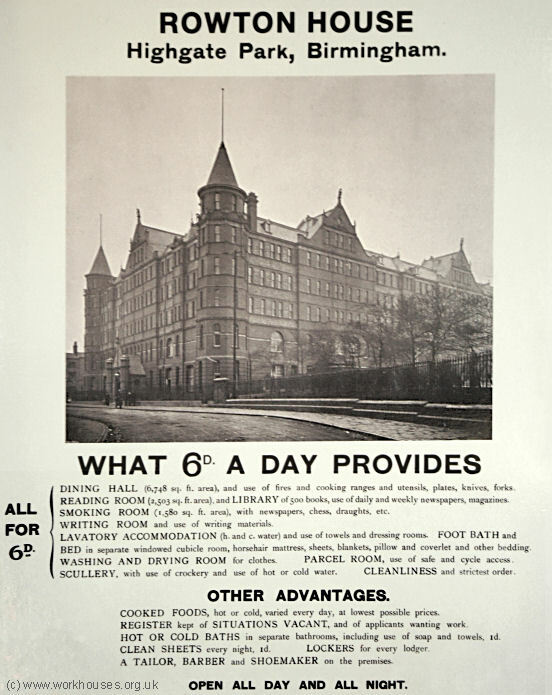 Following its success, a limited company was formed to expand the scheme and five further Rowton Houses were opened at King's Cross (1896), Newington Butts (1897), Hammersmith (1899), Whitechapel (1902), and Camden Town (1905). Following the enormous success of Rowton's scheme, it was widely imitated both in Britain and in other countries. A "Rowton House" was erected in on Alcester Street, Highgate Park, Birmingham in 1903. It was operated by locally formed company but used the same architect, Harry Bell Measures, who had designed the London Houses. It followed the design used at Camden and Hammersmith — a U-shaped building with lantern windows in the centre of the "U" providing light to the lower floors. The Birmingham Rowton House could accommodate 819 men who paid 6d. a night for one of its bed cubicles. Birmingham Rowton House site, 1916. 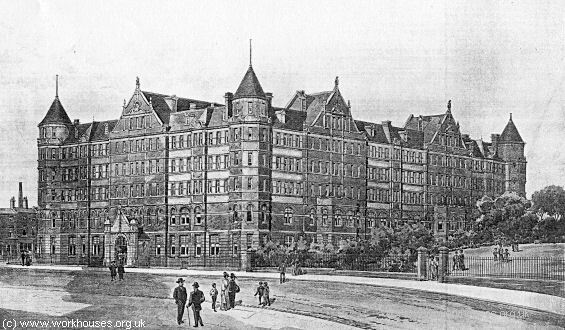 The Birmingham Rowton was later renamed the Highgate Hotel but conditions for the residents declined considerably. 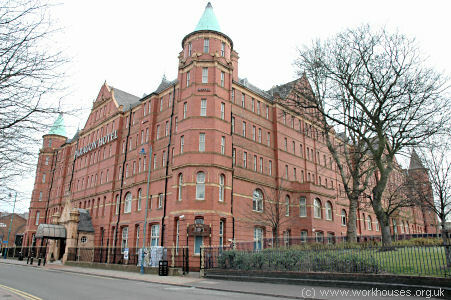 By 1973, the hostel offered 500 beds at 65p per night and its clientele included a large number of Irish building workers. Subcontractors picked up men from the establishment and took them off to building sites all over the Midlands for which they were paid from £4 to £7 for a 12-hour shift, cash in hand with no tax or national insurance. 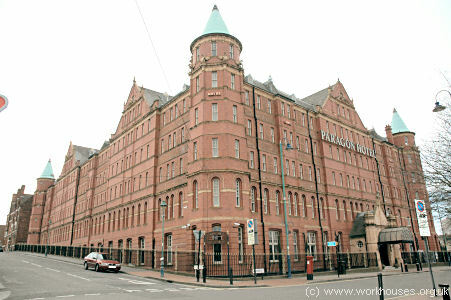 In the mid-1990s, the building was refurbished as a modern hotel. Rooms now (2007) cost £100 per night compared to 6d. a century ago! 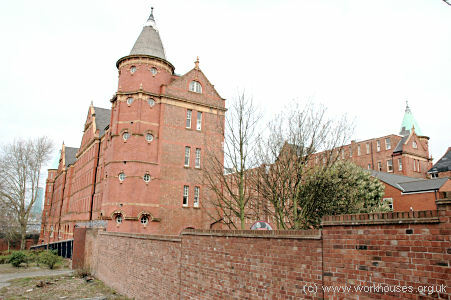 The Birmingham Rowton House, 2006. The Birmingham Rowton House — rear view, 2006. 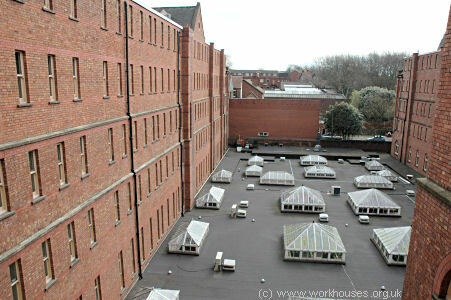 The Birmingham Rowton House — view of internal courtyard from an upper floor, 2006. 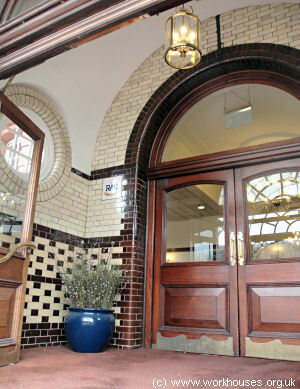 Birmingham Rowton House entrance, 2006.